Next up in our positional reviews, shortstop. In a perfect world it would’ve been primarily Corey Seager. However, 2018 was anything but perfect and unfortunately his elbow and hip disagreed with him. Instead, the Dodgers bridged the gap mainly with Chris Taylor and then added Manny Machado. Considering the loss of Seager for 85 percent of the season, the Dodgers faired quite well in production from the shortstop position. 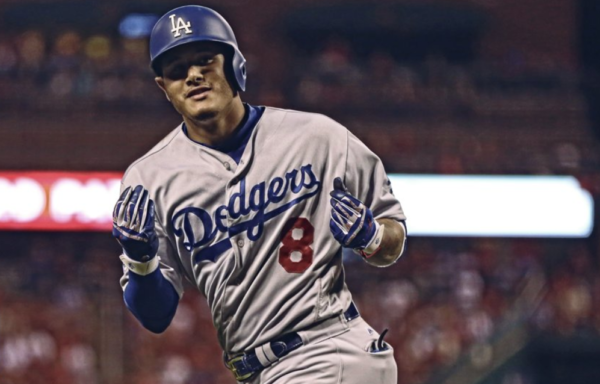 Enrique Hernandez and Taylor combined for nearly 60 percent of the playing time with Machado contributing the rest. All things considered, that’s very solid. Seager wasn’t necessarily incredible during his 26 games, but after news came out that he was having not one, but two major surgeries, it made more sense. Still, he was above average offensively for that small chunk of time, and that only felt disappointing because of his MVP-level talent. His walk-rate was nearly identical to his previous seasons and his strikeout rate was down from 21.4% in 2017 to 14.8% in 2018. That’s typically promising in the development of a batter. His BABIP was roughly 50 points lower than his previous seasons from .355 and .352 in 2016 and 2017 compared to .301 in 2018. That stands out because he was hitting even less fly balls than usual and more line drives. That’ll normally result in high averages on balls in play, and he was hitting the ball well, just straight into gloves. Over the course of a full season that works itself out, but he obviously didn’t get a full season. He’s supposed to be ready to start opening day, but information on his timeline is likely to come out as we get closer to Spring Training. Having Machado on the team was a ride. He caught flack for his lack of hustle and relatively lethargic attitude. This inspired his infamous “Johnny Hustle” comment. You can only make comments like that if you’re a top notch player with the performance to back it up. Machado is a perennial All-Star and the performance shows. It doesn’t mean you have to like him, but it’s impossible to deny that he’s really good. He’s a supreme talent and he still hasn’t signed in free agency, but that’s entirely it’s own issue. He came down a notch from his MVP level offensive tear once he became a Dodger. He “only” posted a 121 wRC+ while providing extremely valuable defense from the most important position in the infield. This is a 360 from what he did with the Orioles where he was significantly below average on defense at short. It feels like Taylor was a full-time outfielder, but he actually logged the majority of his innings at short. He contributed 671.1 innings compared to Machado with 424.1 and Seager with 221.1. Believe it or not, Chris Taylor was still very good in 2018. He wasn’t as good as he was in 2017 but that happens with break-out type players. Regardless, every team in the league would benefit from having him. At the same time, he was 6th in the MLB in strikeout rate. Did he lead the NL in strikeout rate at 29.5%? Yes. 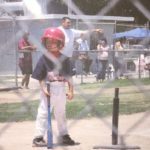 Is it possible to still be a good hitter and strikeout a lot? Also yes. Sure, strikeouts aren’t fun. When a team is struggling offensively, they look worse than a fly-out or a hard-hit grounder. Giancarlo Stanton posted a 9.9% walk rate and a 29.9% strikeout rate. Javier Baez had a 4.5% walk rate and a 25.9% strikeout rate. Trevor Story and his monstrous year still had a 7.2% walk rate and a 25.6% strikeout rate. Taylor isn’t in the same tier offensively, and while he’s below that, it just demonstrates that the strikeouts aren’t as big of a deal as they seem to be. Still, a player like him with speed and relatively limited power would benefit by cutting down on the strikeouts. Overall, he’s still a strong offensive player with positional versatility and above-average defense. That’s great. Enrique was the only other player to log innings at short in 2018 with 159. He’ll be written about more in one of the outfield reviews.